If you are from Zambia in Africa and wants to know how to join AIM Global from your country, you are on the right spot to learn more about this business. For the past 10 years, AIM Global has established 19 offices in many countries as part of the massive global expansion. Africa is a big continent that is now the big market of AIM Global. The company has already established offices in Nigeria, Togo, Ghana, Uganda, Kenya, Cameroon, Ivory Coast and more! But not only in Africa, AIM Global also has offices in the Philippines which is about 127 business centers and branches. There is also AIM Global in Dubai, Papua New Guinea, Brunei, Hawaii, Singapore, Taiwan, Kuwait, Pakistan and more. But let us talk about the real purpose of this post which is how to join AIM Global Zambia. AIM Global Zambia office is not yet open but you can already join as soon as now. There are already lots of distributors in Zambia who are now earning well. 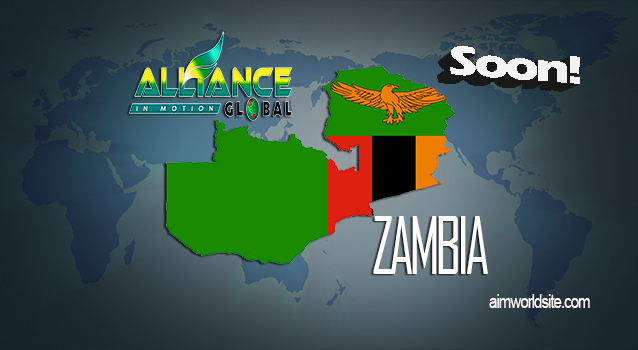 Become part of the pioneer in Zambia! That can bring you a good advantage. What is the Potential of AIM Global if it will open in Zambia? AIM Global offers a limitless opportunity and earnings. You can earn up to 640 USD per day per account! Currently, AIM Global has 7 Ways to Earn. Each country has a marketing plan on its currency. I will update this post for that anytime soon. You can see the links at the bottom of this post for each country’s AIM Global Marketing plan. How to join AIM Global Zambia? You just need to buy the Global Package for registration. You can start AIM Global as soon as now even if the office is not yet officially open. Your package will be coming from AIM Global head office in the Philippines or from the nearby country like Uganda, Kenya, Nigeria, Ghana or Togo. To know the process, please message the person who invited you to join AIM Global. If you came to this website for more information about AIM Global and now one has invited you yet to join AIM, here are the contact details below. I will make sure to give you the right information you need and assistance for the process up to your success. AIM High, Dream BIG, AIM Global!